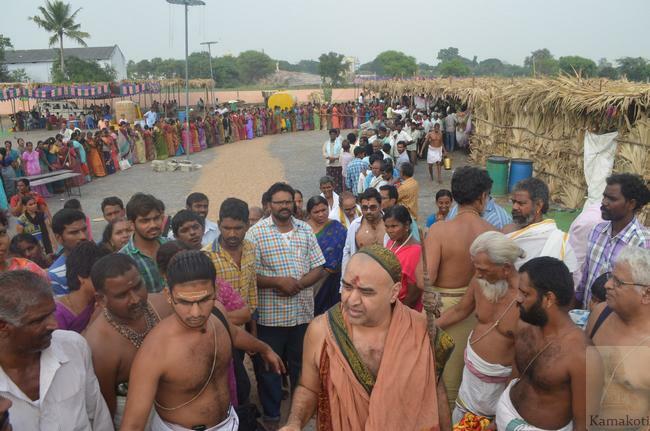 Annadaanam was performed on all days of Shrimatam camp in Kantepudi. 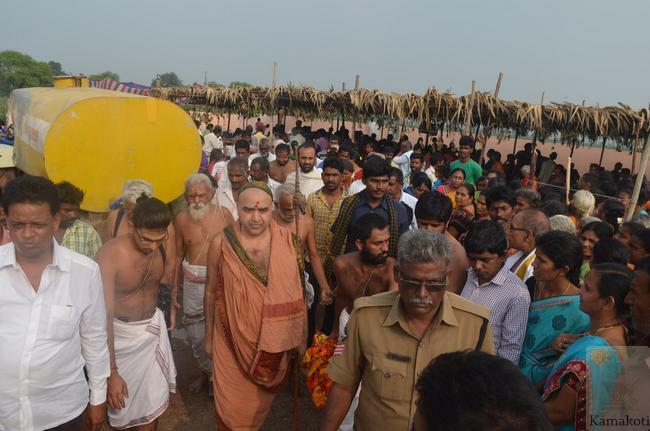 His Holiness Pujyashri Shankara Vijayendra Saraswathi Shankaracharya Swamigal viewed the arrangements at Annashala and blessed the organisers. 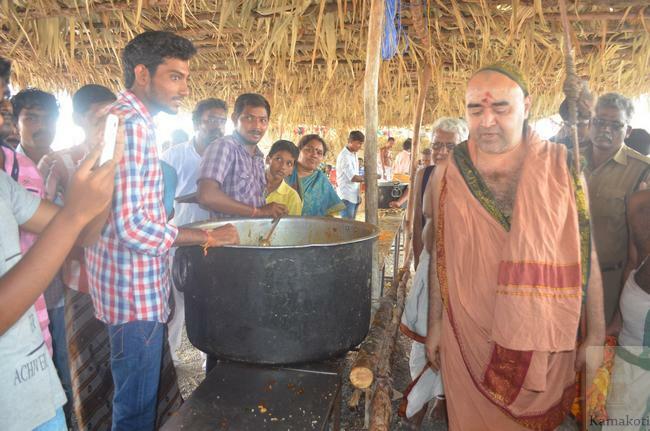 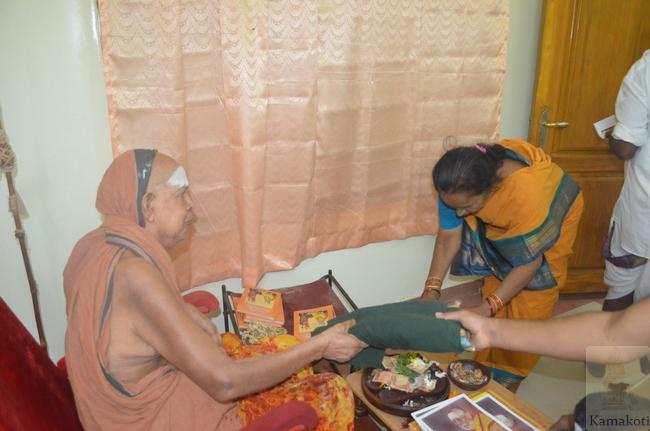 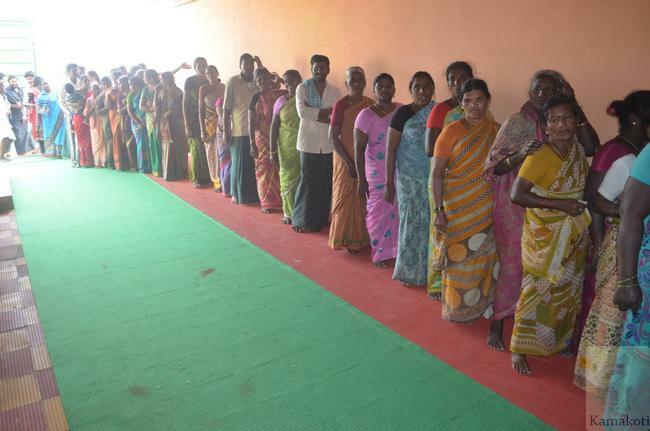 Sarees were distributed to villagers on the final day of camp at Kantepudi village with the blessings of His Holiness Pujyashri Jayendra Saraswathi Shankaracharya Swamigal.